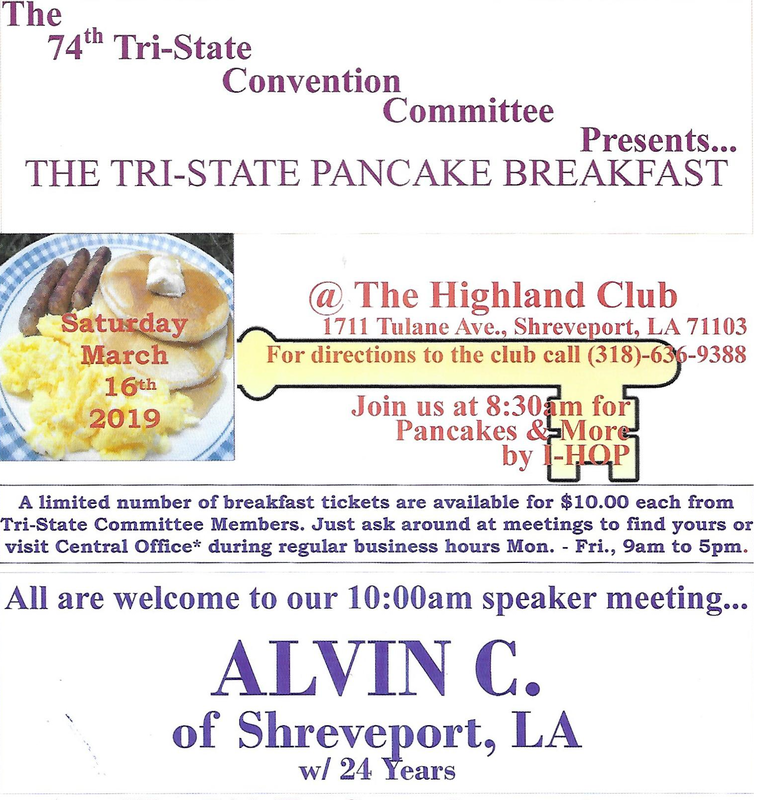 Convention Committee Planning Team Meetings are usually the first Sunday of each month at 2:00 pm at the Central Office of Shreveport at 2800 Youree Drive, Building A , Suite 362, Shreveport, LA 71104-3646 (unless it’s moved for a holiday weekend or another event). Everybody is welcomed and encouraged to participate in helping plan this great convention. For more information call the Central Office of Shreveport at 318.865.2172 or email aahelp@bellsouth.net.